Accurate, robust and corrosion resistant, the C-110 Strain Gauge is built with electro-magnetic excitation and pick-up coils. The C-110 strain gauge consists of a thin-wall steel tube with two steel heads soldered to its extremities using solder with a low modulus of deformation. 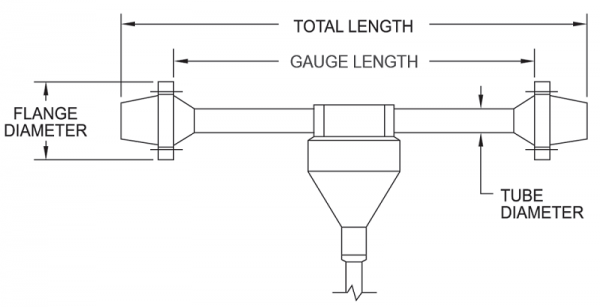 The distance between flanges of the heads determines the gauge length. A small rectangular housing at the gauge midsection encloses the electro-magnetic excitation and pick-up coils. The electrical resistance of one of the electromagnetic coils provides temperature data, in which case the gauges are delivered with a 5-conductor cable. A 4-conductor cable is used when temperature measurements are not required. 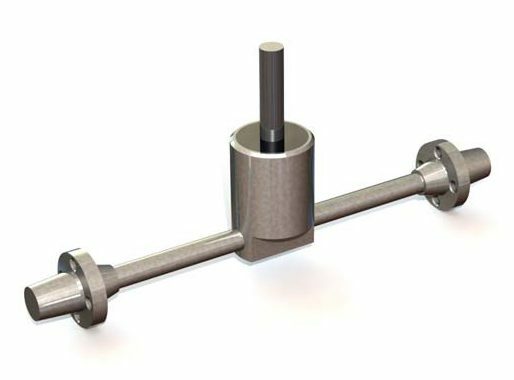 Unless specified, gauges are factory-set at mid-range, allowing one half of the range for measurement of tensile strain, and the other half for compressive strain.